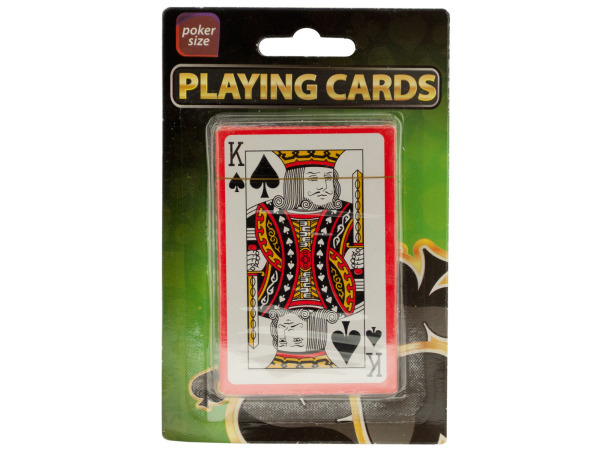 Perfect for game night, poker parties and family fun time, these Plastic Coated Poker Size Playing Cards include 52 cards and 2 jokers. Set comes in a carrying box. Cards measure 3 3/8" x 2 1/8". Comes packaged in a blister pack.